A Basic Oxygen Furnace acts as a primary steel making process for converting the molten pig iron to steel, by blowing oxygen through a lance. This causes an exothermic reaction by which Oxygen reduces Carbon, Silicon and Manganese etc. present in steel. Further, Lime (CaO) is added in the refining process to remove silicate as slag; and finally Carbon gets reduced to the extent of 0.2%. Refractories lined in this vessel undergo various destructive factors like oxidation and various thermo-mechanical stresses. 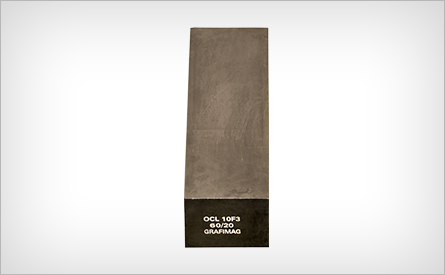 With better carbon bonding, OCL’s Magnesia Carbon bricks have superior resistance to corrosion, erosion, oxidation and thermal shock, making them hugely popular among users. Made in single piece in Cold Isostatic Press (CIP) as well as in segmented assembled forms, OCL's Tap Hole Tubes are tailor-made for your specific requirement. Gunning, Patching and Running Mixes. Multi hole plugs (in association with TYK, Japan). Our Magnesia Carbon bricks with improved carbon bonding have special characteristics of high resistance to corrosion, erosion, oxidation and thermal shock. For repair and maintenance of converter in hot conditions, our Gunning and Hot Patching masses contain special binders to enhance stick-ability with quick setting and good erosion resistance. For Tap hole, a critical area of the converter that suffers abrasion, corrosion and thermal shock during converter operation & tapping, our Tap hole tubes made in single piece in Cold Isostatic Press (CIP) as well as in segmented assembled forms are tailor-made to suit your specific requirement. 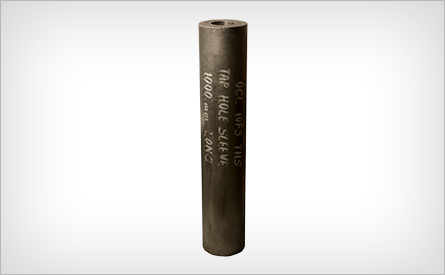 Our high purity gunning material for Tap hole maintenance offers great bonding strength.